English Legal Authors before Blackstone. 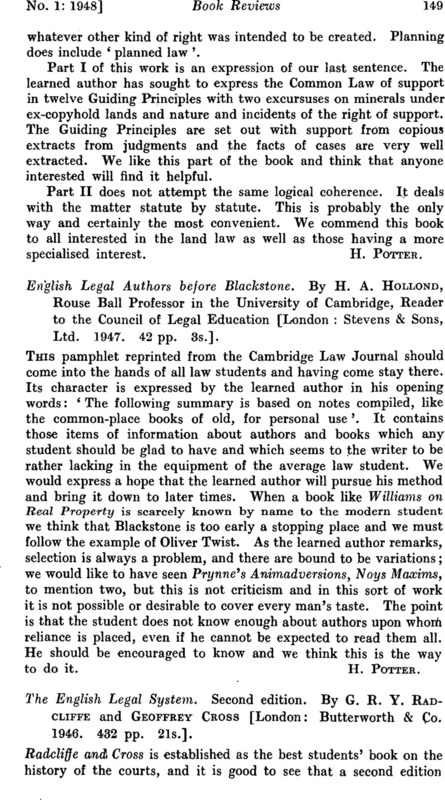 By H. A. Hollond, Rouse Ball Professor in the University of Cambridge, Reader to the Council of Legal Education [London: Stevens & Sons, Ltd.1947. 42 pp. 3s. ].